Home » Health & Lifestyle » Emotional Health » What is Diabetes Distress? This post originally appeared on Beyond Type 1. We had been invited to a small gathering in Hanoi for dinner. My husband, daughter and I had flown in on an early evening flight and the airport taxi rushed to get us there in time through a maze of unfinished highways thick with motorbikes and dust. I was exhausted. Later, after the dinner plates had been removed, and conversations continued in other areas of the house, I had gone to the kitchen in search of something to drink, like juice. I don’t remember the rest. I woke up out of a daze, sitting on the floor saturated in sticky water with a large bump on my head. Even my underwear was soaked. The entire dinner party was standing around me and was elated when I opened my eyes. Elizabeth, are you OK? What had happened? I looked around the room. Andy is my doctor in California and he did help from afar, calling on me and checking to ensure I was OK until I made it home. I was fine in the end, but it had been a very frightening and unfortunate situation. It was the first severe hypoglycemic episode I had experienced in my nearly 40 years of living with Type 1 diabetes. There was a lot of head slapping and should haves — why weren’t we carrying Glucagon? Why didn’t the CGM alert? Why didn’t I call for help? My husband was visibly distraught, and our 13-year-old daughter had been the one to find me unconscious. She squeezed my hand as hard as she could all the way back to the Hanoi hotel. This very scary and unpredictable event had created a good deal of Diabetes Distress. According to Dr. Lawrence Fisher, Research Director at the Behavioral Diabetes Institute (BDI), Diabetes Distress or “DD” refers to all the fears and worries that people with diabetes experience on a daily basis. Fear of complications or the fear of hypoglycemia are examples of the types of concerns that may cause DD. Back in 2013, after the severe hypo, I was faced with a good deal of distress and so were my husband and daughter. It took some time for me to regain confidence, and I suffered from anxiety. My husband was concerned for weeks about the possibility of another episode, which frequently happens in the severe category. I took our daughter to a counselor to address her worries and to give her room to express her feelings. Together we discussed a plan to prevent another severe hypo from happening again. It was clear that back then each one of us needed our voices to be heard. After that, it was helpful to develop ideas for prevention and take action. Dr. Fisher, and Dr. William Polonsky, President of BDI, developed the Diabetes Distress Scales for people with Type 1 diabetes (T1DDS) and Type 2 diabetes (DDS) as well as scales for parents of children with Type 1 diabetes and partners of people who live with diabetes. Depending on a person’s type of diabetes or connection to the care of a person, each scale was developed for healthcare professionals to use as a tool to generate discussions with their patients about the emotional side of diabetes, which is usually not given a good deal of attention. The Diabetes Distress Scales give a language to emotions that are often hard to articulate. I can relate to all seven sources of Type 1 diabetes distress, but I was aware that powerlessness had affected all of the family after Hanoi. I haven’t had a severe hypoglycemic episode since that one in 2013. Hanoi was not my last experience with Diabetes Distress, and certainly there will be more to deal with in the future. However, today I am both better equipped and prepared to manage distress. Talking openly about my fears and listening to my families’ concerns are always a priority when they surface. Having a healthcare team that acknowledges the emotional struggles associated with diabetes and their willingness to assist and offer sound advice has been invaluable. If you liked this post, please sign up for our newsletter (and get a sign-up bonus) in the form below. We send out a weekly newsletter with the latest posts and recipes from Diabetes Strong. 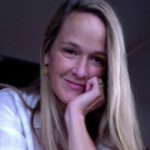 Elizabeth Snouffer is a healthcare journalist, consultant, and content provider who has lived with Type 1 diabetes for nearly four decades. Today, Elizabeth is the editor for the International Diabetes Federation (Brussels) publication, Diabetes Voice. Hi! I just recently discovered your site and I absolutely love it! I was diagnosed in 2014 at the age of 14 and up until now I never knew that there was a name for everything I was feeling with diabetes. This may sound dumb to most people but driving terrifies me because when I’m nervous or get stressed my blood sugar messes up. Therefore I’m afraid that if I drive or when I drive my blood sugar will drop or go too high and something will happen. I had no idea that this could be from Diabetes distress! I am hoping I can find a way to get past this but I am finally glad to know that diabetes distress is a “normal” thing. Ash – I’m so glad you found us too. Just knowing that you’re not alone can be extremely powerful. Specifically for driving it has helped me a lot to get a CGM. I have the reader open on my dashboard and can follow along with my blood sugar as I drive. Thank you for the post on Diabetes Distress. After 30 years as a T1D, I recently found myself struggling with Diabetes Distress but wasn’t sure if it was an actual condition that other T1D suffer from. It is reassuring to know that I am not alone. What I would like to know is, aside from my Endo and Diabetes Educator, where else can I get additional support/help to address and work through my diabetes management distress (I give my diabetes management too much attention, to where it is interfering with and controlling all aspects of my life.) Any suggestions would be greatly appreciated. Your blog and website have been so enlightening and such a great resource for things I thought I only I was experiencing. Thank you! Lu, I’m so glad we can be a good resource for you. You’re definitely not alone in this! 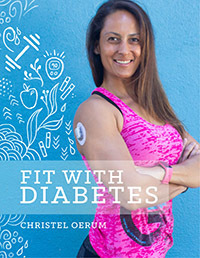 I’d recommend getting a copy of Ginger Vieira’s Diabetes Burnout book (you can find it in our shop). If you’d like to work with a mental health professional who actually also understands diabetes and what we go through try exploring ADA’s Mental health provider registry (HERE). I discovered your blog just few days ago (after a long search for something like this – diabetes and fitness/lifting) and glad I found it :). I have sensed these sources every single day but couldn’t channel or name it. I have had T1D for 20 years now and have always felt like I am all alone in it. The funny thing is that I have talked to my doctor about my emotional and psychological concerns and hardships, but she never mentioned Diabetes Distress. Only that “Well, what can you do” and “you have to do better – you know the complications if you don’t”. 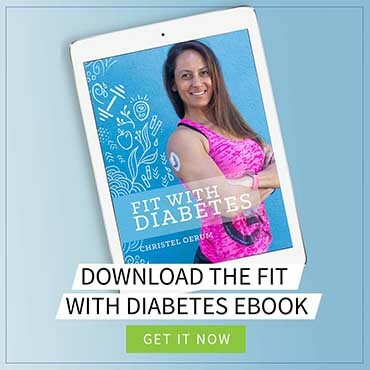 Your blog is very helpful and gives me strength to continue my love for lifting and tips on how to “balance” fitness and my diabetes. Also this post, I will definitely share it with my friends and family. Thanks! And I wish you all the best. Thank you for the note, I’m so glad you found the website and that we can be a resource for you! I hope you here can get a continued sense that you are not alone in this.